In an effort to get XOOMs flying off the shelves for Father's Day and graduation time, Motorola is offering a pretty sweet deal: between now and June 14th, if you buy a XOOM directly from them, you'll get a free Bluetooth keyboard (valued at $69.99). If that deal isn't already sweet enough, though, you'll also get free 2-day shipping on the order. There is one catch, however: this deal is not applicable on the 3G XOOM if you bundle it with a plan - but if you plan on buying it outright (without signing a contract), then you're good to go. 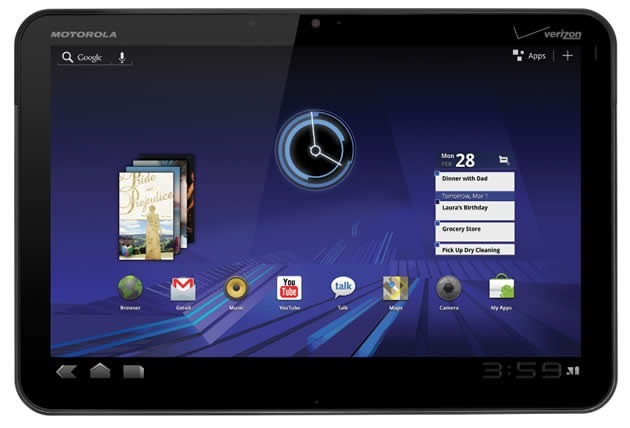 Naturally, this deal works on the Wi-Fi XOOM without restriction. It's also worth noting that you must add the keyboard to your cart before placing your order. Otherwise, you'll miss out.